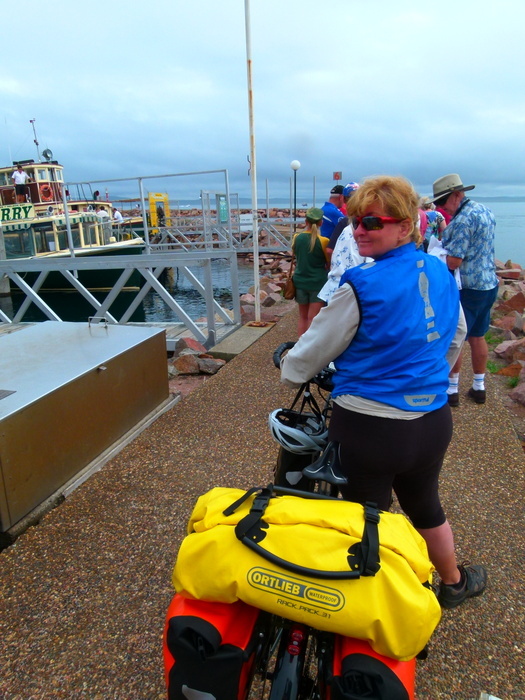 Well, we were delighted and surprised bymanythings when we reached NSW and the East Coast of Australia not long after we’d finished crossing Victoria. 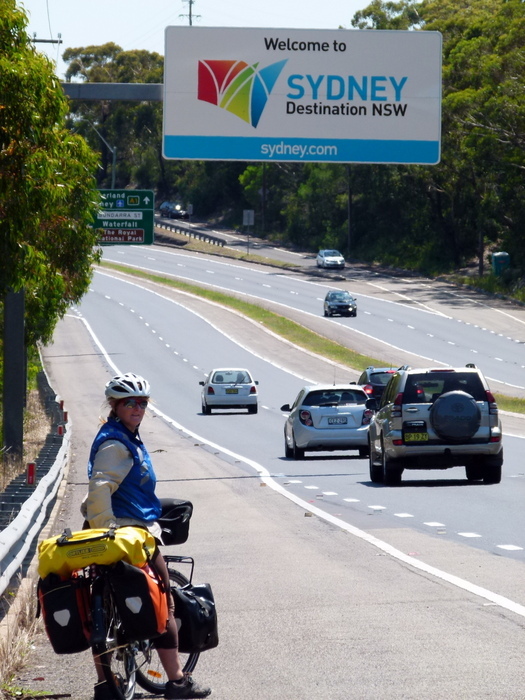 Firstly we were delighted that we’d actually crossed the country when we made it to Eden. 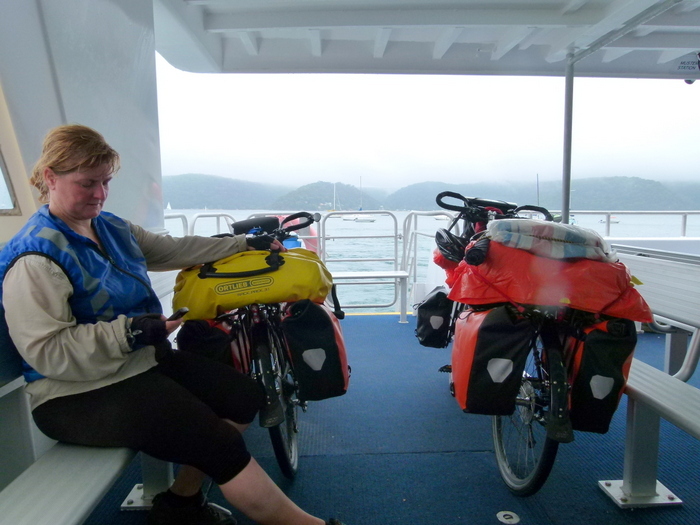 We had actually cycled completely ACROSS the country and not on the most direct route either. While both of us had been determined at the start we really hadn’t known if we would make it when we started out from Perth.That was especially true as we had some very challenging weather along with very challenging terrain. But here we were. 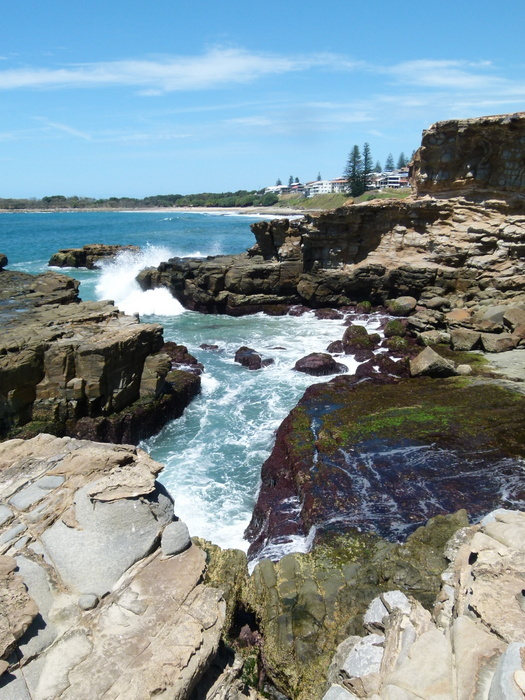 We were surprised by the extraordinary beaches and coastline in this part of the world. I’m not sure why we were surprised. Both of us are well aware of the beauty in other parts of the country, why would this area be any different? Neither of us had travelled to the south coast of NSW before and so hadn’t really thought about it I guess. The other thing that surprised us, but not in the best way, was the steepness of some of the hills, especially between Eden and Bateman’s Bay. We had somehow thought that once we reached the coast things would flatten out.That ha kind of been the impression we’d had from other riders we’d met Instead they got steeper and we found ourselves walking several of themore challenging gradients. The lack of shoulder on some of the coast roads didn’t make things any easier either nor did the plethora of raodworks on many parts of the Pacific Highway. Anyway, here’s a collection of pics that reflect our most vivid memories. 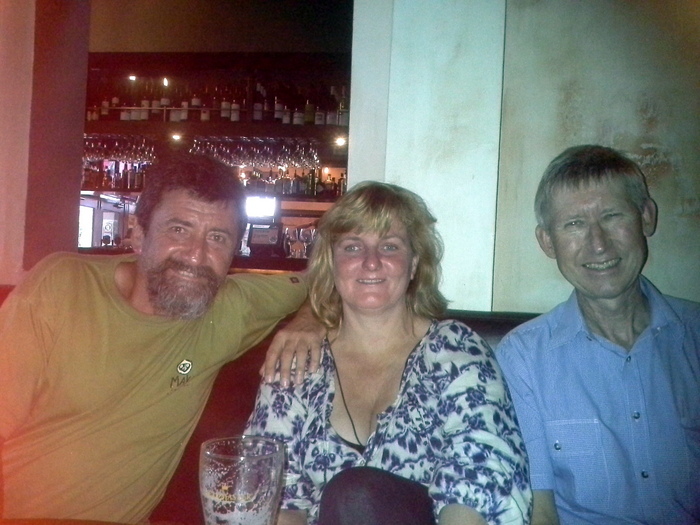 We haven’t mentioned being spoilt in Sydeny or the awesome time we had with friends in Port Macquarie. That’s notbecause they weren’t highlights but bcause we don’t have pics but we did mention it in the blog itself. Anyway, I hope you enjoy them as much as we did picking them out. Number 1. 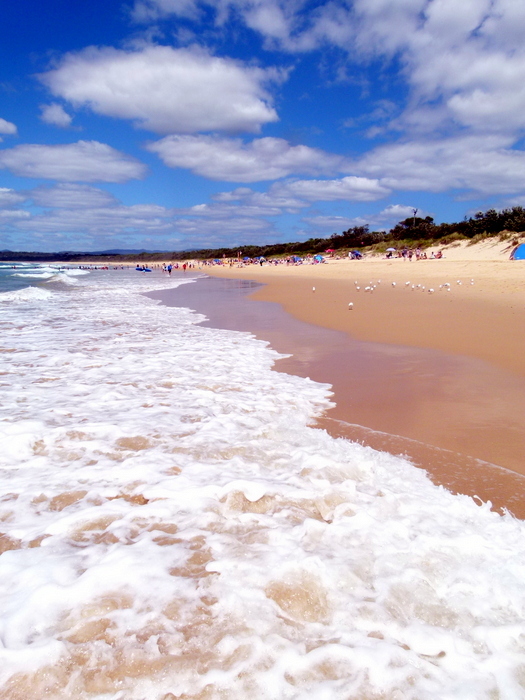 Wanting to stay off the roads over the Australia Day weekend meant spending some time in the lovely town of Merimbula. Blue skies and a festive atmosphere bought out the best in the Aussie Beach Culture. Simply stunning. Numbers 2 and 3. 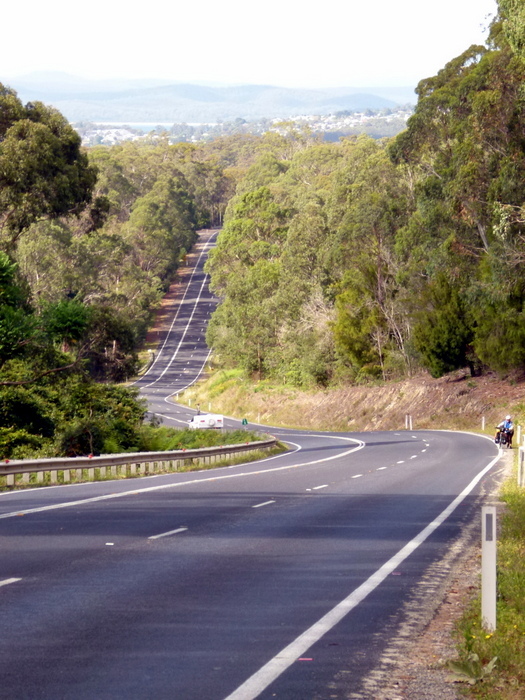 I don’t think I’ll ever unetch the memories of Bellbird Hill outside Merimbula and the steep slope heading up to Murrah on the way from Tathra to Bermagui. I could barely push the bike to the top, let alone ride it. These were probably the worst of quite a few nasties in this neck of the woods. Number 4 & 5. 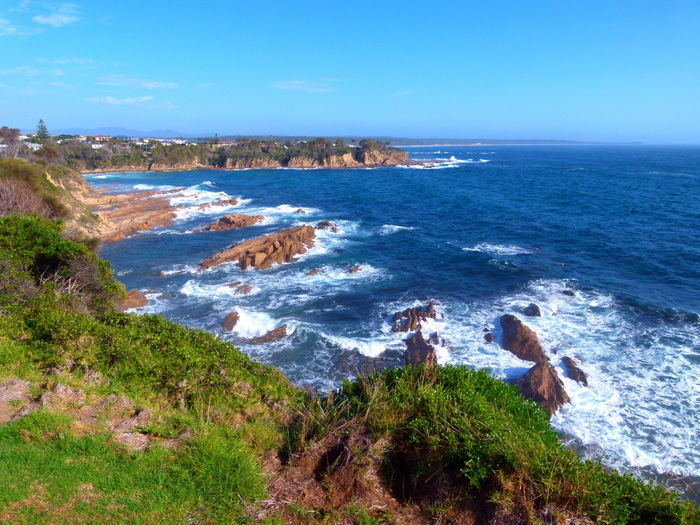 A cycle path out of Narooma on a gorgeous day took us past some magnificent beaches and cliff top views. Added to the absence of traffic on the path and we were as happy as Larry. 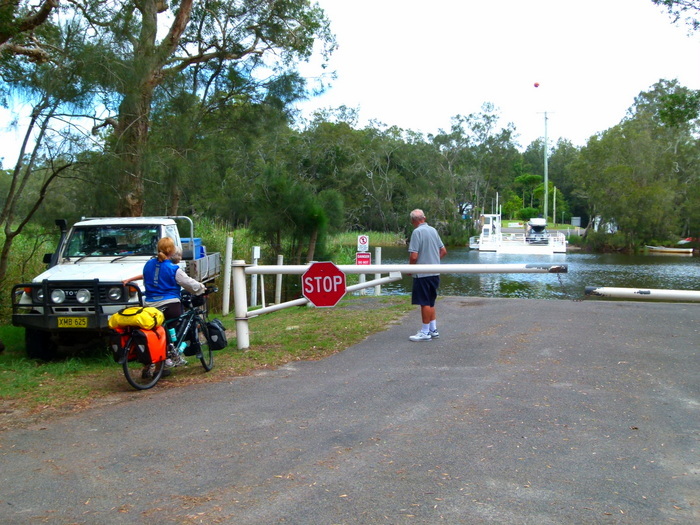 The trip on the path added an extra 10kms or so to the ride into Moruya but it was well worth it. Number 6. An afternoon storm passed over the Moruya Riverside amp ground without doing too much damage. 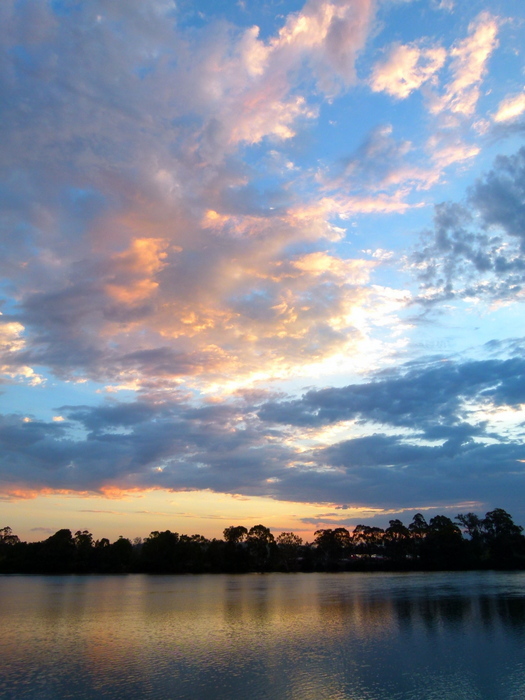 The residual cloud gave us one of the most spectaculr sunsets of the trip. Number 7. 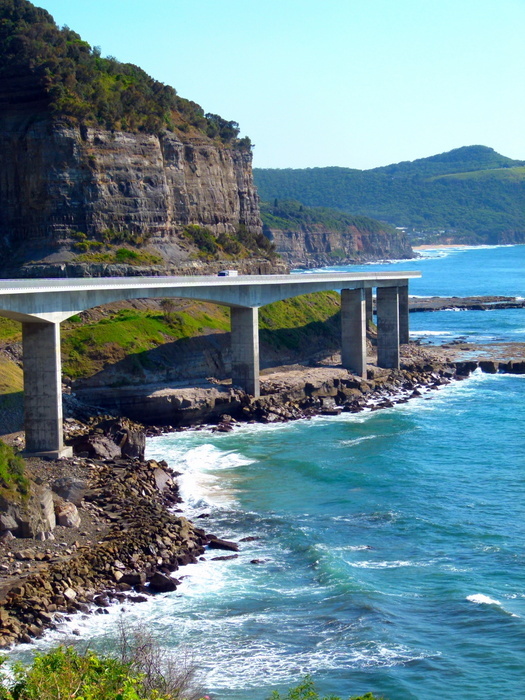 The East Coast of NSW has a pretty good network of bike paths. 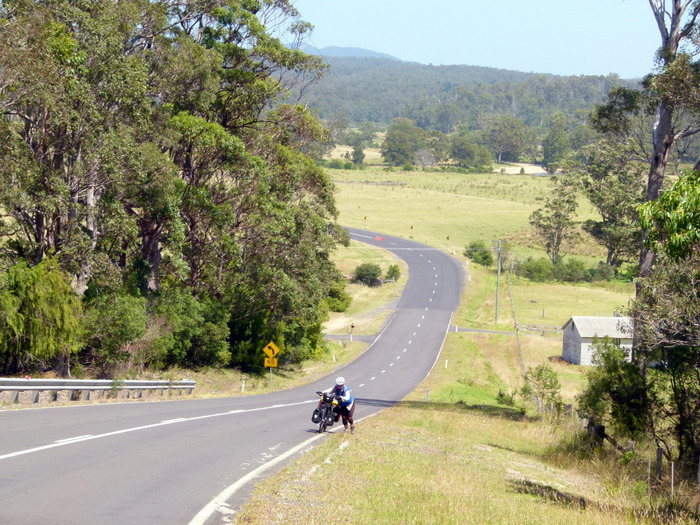 On this particular day we were riding from Kiama to Bulli Beach via Woollongong. Once again we added an extra 13kms or so but the views and absence of traffic made it worthwhile. 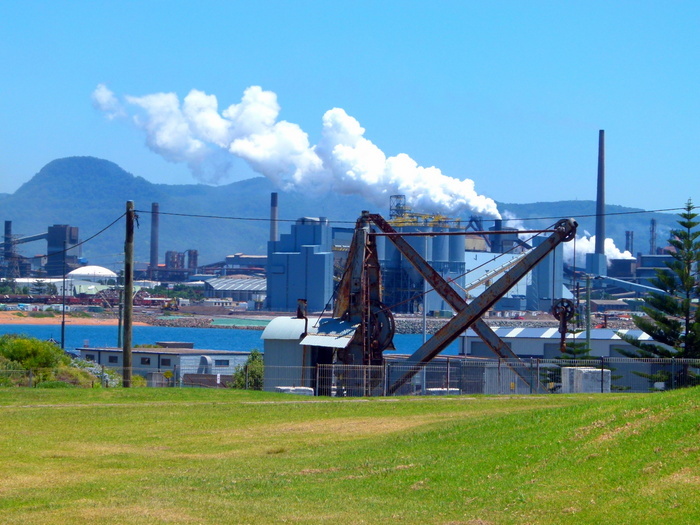 Riding through Pt Kembla made an interesting contrast to the the beautiful coast views we had for most of the ride. Number 8. Our 6000km mark. 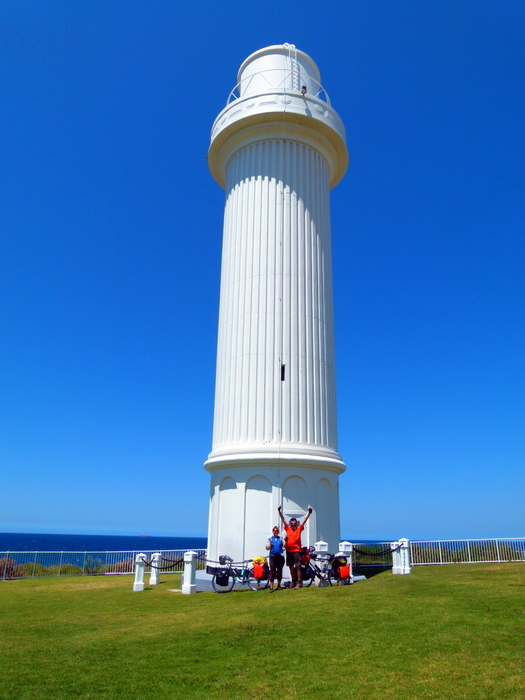 The computers rolled onto 6000km just as we reached the lighthouse in Woollongong. A couple of friendly girlstook some happy snaps and handed out some refreshing rock melon as a bonus. Number 9. Riding down the Sky Bridge on a sunny day was pretty exhilerating and one of the flatter parts of that day. Our next stop was the bottom of the big ride up to the Royal National Park. 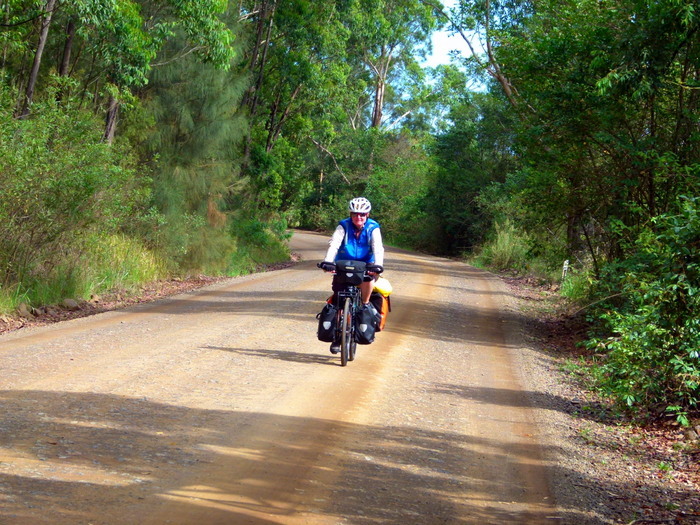 A challenging ride made even more so by the narrow, road with no shoulder and weekend traffic. Number 10. We’d officially made it to Sydney. What more can I say. 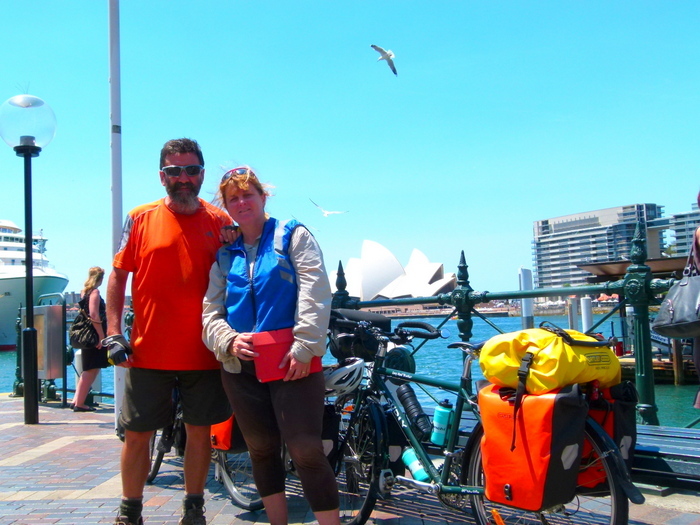 For many it would have been the end of their trans Australia trip but we still had another 1000km or so to go. Number 11. We were pretty excited to have our picture snapped in front of the iconic Oera House down at Circular Quay. Number 12. After being spoilt with family (of which we actually have no pics??) we headed North in terrible weather. After being soaked to the skin on the way into Newcastle we met up with friends from Brisbane who were on their way South. The last time we’d seen these guys was in PErth just before we started. I’m not sure who was the most surprised to be meeting this far into the journey. Number 13, 14 and 15. All up we took a total of 7 ferries in NSW. by doing so we managed to stay on the coast and cut a fair amount of km’s out of the trip. They ranged from an hour to 2 minutes and free to around $11. All of them enhanced the trip as far as we were concerned. Number 16. Despite being on a gravel road for around 10km, the ride from Tea Tree to Buladelah via the Myall Lakes National PArks was a great one. Very little traffic and some great scenery made for a really pleasant ride. Definitely one place we’ll be returning to. Number 17. The Big Banana! 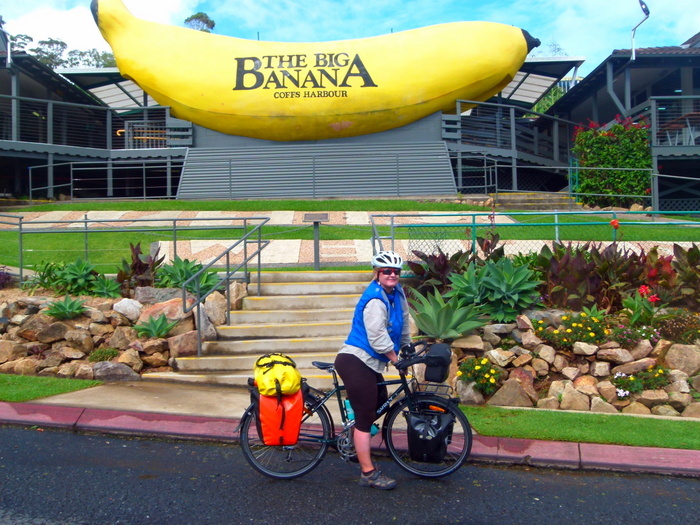 We have a picture of me in fromt of this Coffs Harbour icon from our first camping holiday away together back in 1982!!! Couldn’tresist posing once again. Number 19. 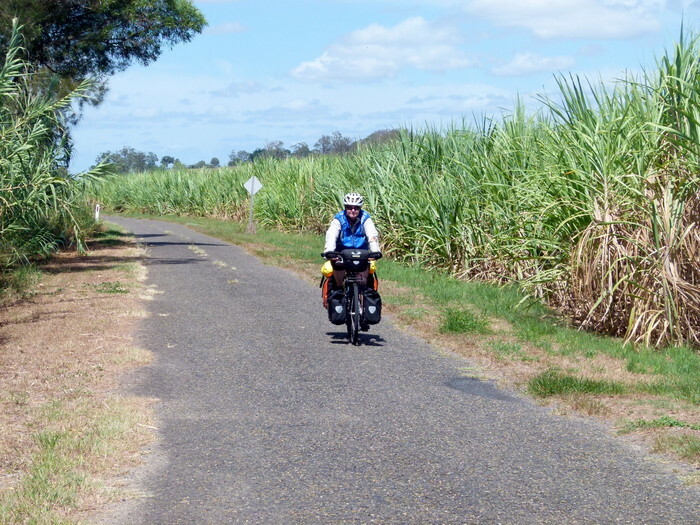 On great advice we gave the Pacific Highway the flick and headed out into the cane fields between Grafton and Maclean. No traffic, great scenery along the river and a beautiful day. Number 20. We like Yamba so much we stayed an extra day. 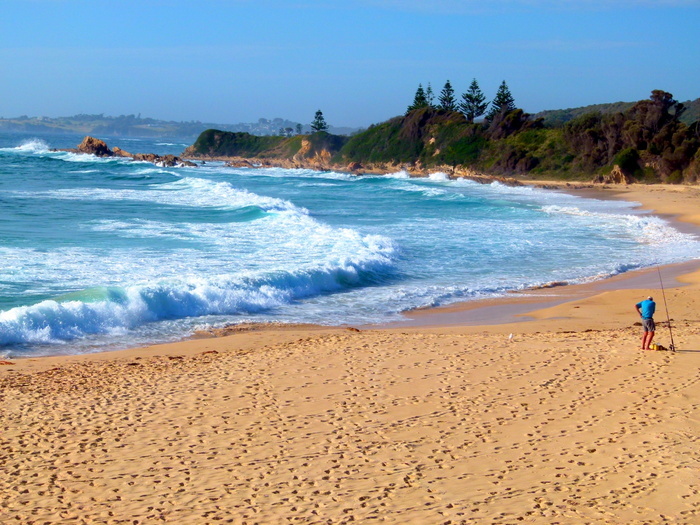 Who wouldn’t love a place with great swimming, surfing, cafes and restaurants with one of the best YHA’s in Australia. Well, there’s not much of the journey left after NSW. Brisbane was just over 100km from the border. We tried to put the ending off for at least a few days by haning in Broadbeach for a while but in the end we knew the big adventure would have to finish. Life would then change for quite a while until we can plan the next big dventure on the bikes. Next story Cheap, Cheap Wine and Lots of Lovely Beer! Glad to know the Grafton to MacLean backroad worked out for you guys! 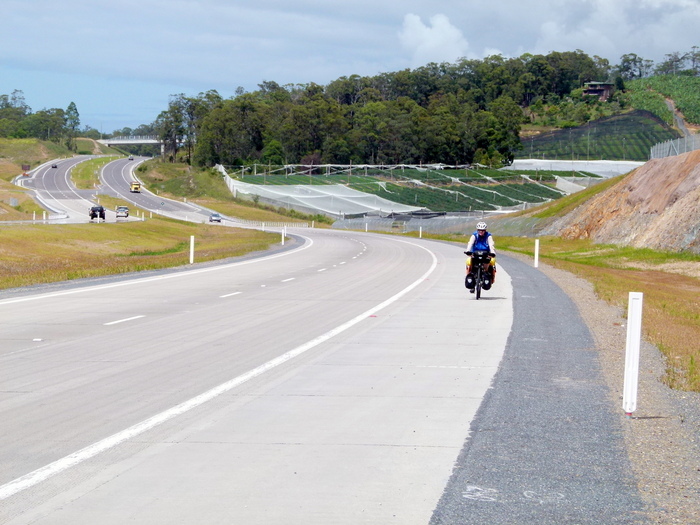 I took the ferry-filled route from Bulahdelah as suggested and also had a great time – the Bombah Point Road was fine even after a couple of days of rain. Best wishes! And I agree – the road is the best training! Nice to see you here on the website Sara. Let us know how the rest of your trip went. I guess you’ve made Sydney. What are you up to next?